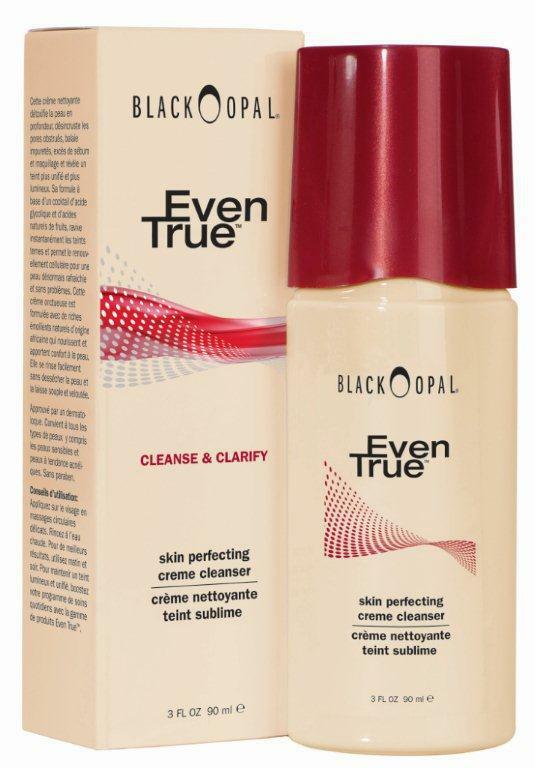 Black Opal Even True Skin Perfecting Creme Cleanser Your secret to complexion perfection starts with this creamy cleanser. Clarifying, crème-cleanser thoroughly detoxifies, cleanses and de-clogs pores, clearing away traces of dirt, excess oil, and make-up to promote a more even toned, radiant complexion. Formulated with a special blend of glycolic and natural fruit acids, it instantly revitalizes dull, ashy, lackluster skin encouraging healthy cell turnover so skin looks renewed and stays problem-free. USAGE: Apply using circular motions, gently massaging into skin. Rinse thoroughly with warm water.